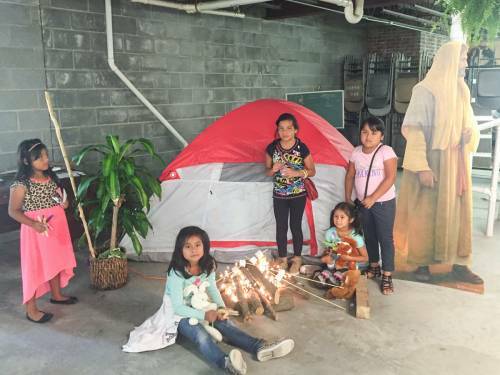 LOUISVILLE — The children coming to “Camp in a Van” were one of Misión Presbiteriana Hispana’s greatest success stories from 2017. Forty children showed up when the new worshiping community in Fayetteville, North Carolina, took its Vacation Bible School to a nearby park. Eighty percent of the children were not members of Misión Presbiteriana. Some of the children told leaders they had not seen their parents who had been deported to their home countries “for a long time.” Then they asked for hugs. This experience with the children was an unforgettable experience for Martinez and the community he serves. Some of the children decided they wanted to follow Jesus. None of them wanted it to end. The visas issued to Martinez and his family are set to expire in June. Even though the family members are in the legal process of changing their status the process might not conclude before their visas expire. Martinez acknowledges that it is a difficult time with a lot of “distrust as to what is going to happen with Hispanic people.” But he is urging the congregation — which became First Hispanic Presbyterian Church of Fayetteville in November — not to be afraid. Trust isn’t easy, particularly for those at First Hispanic Presbyterian Church who have Deferred Action for Childhood Arrivals (DACA) or visa issues. Seven nations — Colombia, Guatemala, Honduras, Nicaragua, Mexico, Peru and the United States — are represented in the congregation. Martinez has been working to create well-trained leadership for First Hispanic in case he is deported. Four members have already taken Commissioned Ruling Elder training through the Presbytery of Coastal Carolina and five more recently began the training. Through all the uncertainty, Martínez remains grateful to God and to the Presbyterian Church (U.S.A.). Since becoming part of the 1001 new worshiping communities program in 2014, they have received Mission Program Grants from Presbyterian Mission totaling $57,500. Even though partner congregation Galatia Presbyterian Church is in discernment of whether or not to leave the denomination, they are adamant they will continue to provide First Hispanic with worship and classroom space, budget support and rent-free housing no matter who serves as the church’s pastor. “We’re trying to reflect God’s love in our part of the world, that we are better together,” says the Rev. Brett Johnson, Galatia’s pastor. 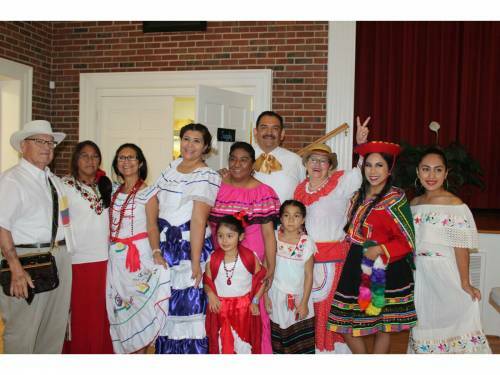 Misión Presbiteriana Hispana (now First Hispanic Presbyterian Church) was just one of the 1001 new worshiping communities funded by Mission Program Grants (MPG) in 2017. Housed in Racial Ethnic and Women’s ministries of the Presbyterian Mission Agency, MPG granted more than $1.6 million last year to 122 new worshiping community projects.